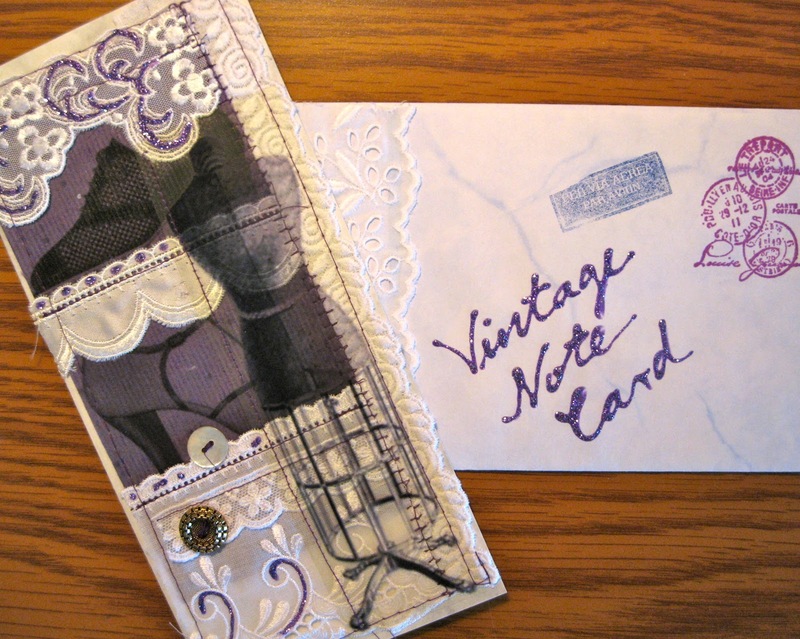 Lenna's Vintage Notecard Swap is finished and the three notecards from other participants arrived in my mailbox today ;-0 Lenna always packages her swaps nicely so everything arrives in tip-top condition. This card is from Sabine. Love the color (!) and she used a strip of film with an image of a dressmaker's form on it. Note the lace, and that's a real mother of pearl button! A bit of purple glitz completes this lovely card. Coincidentally, Sabine and I also participated in Kate's recent quilt swap, though we didn't get each other's quilts. Last, but certainly not least, is Nancy's sweet creation. All girly, pink, and lace with vintage buttons and floral accents. 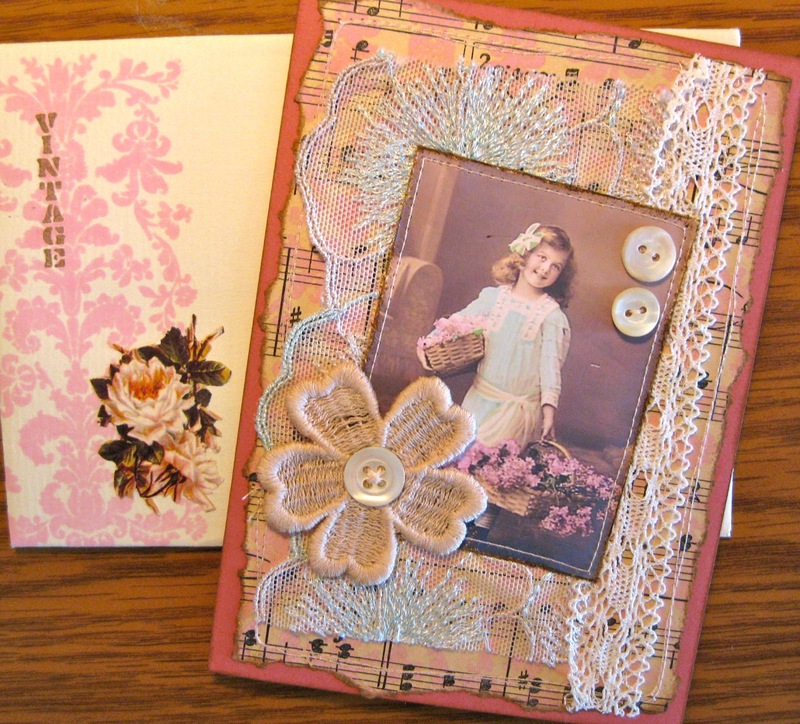 Some fine altering of a vintage songbook page too, for the background! Lenna's next swap is going to be tiny books - can't wait..... Maybe you'll join in? You lucky lucky girl - you've got your notecards already! Your return notecards are beautiful, I love all 3. I haven't yet decided if I'm going to do the tiny books swap, it depends on what they involve. But I'm very tempted........! 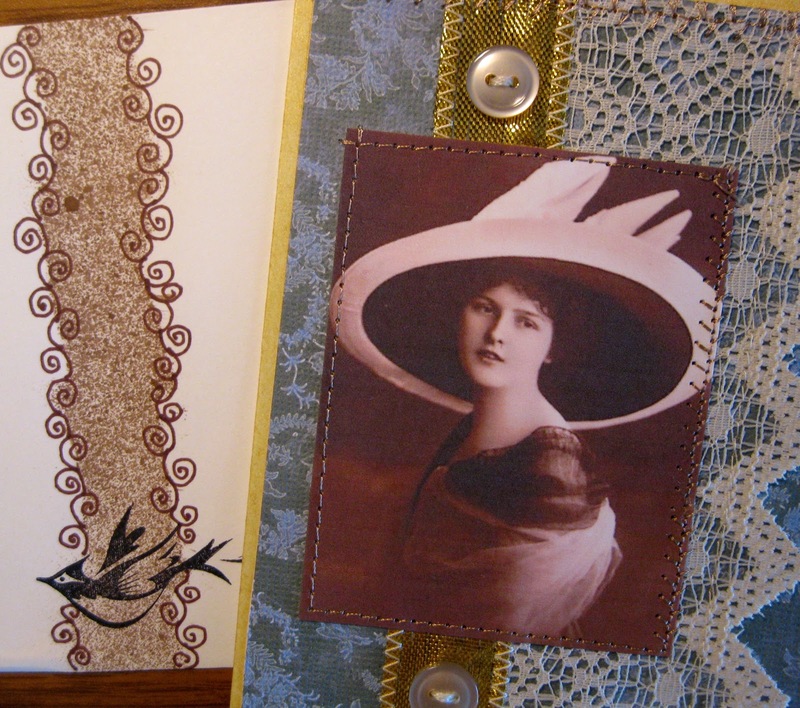 You certainly received some gorgeous cards! Unfortunately, I was unable to join in this swap; maybe I'll be up for the tiny book one. Lucky you that you already have your cards. For me it takes more time (long way over the sea....)! Glad that you love my card. I appreciate always the SWAPs from Lenna.